The San Pedro Town Council’s (SPTC) street rehabilitation efforts continue with the cementing of Sandpiper Street. 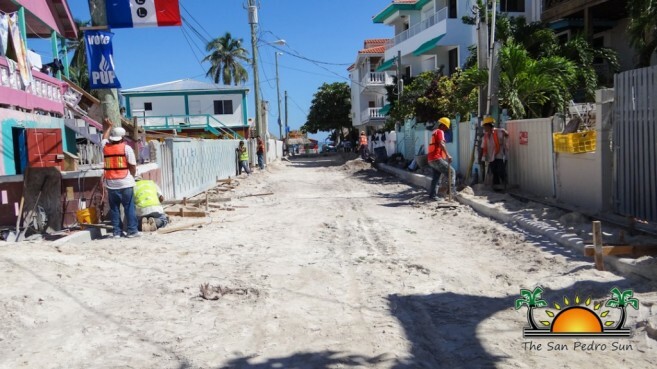 Work on the street commenced on Friday, October 23rd and is expected to be completed by Tuesday, November 3rd in preparation for the 2015 General Elections. Sandpiper Street is located just right of the roundabout connecting Pescador Drive to Boca del Rio Drive. 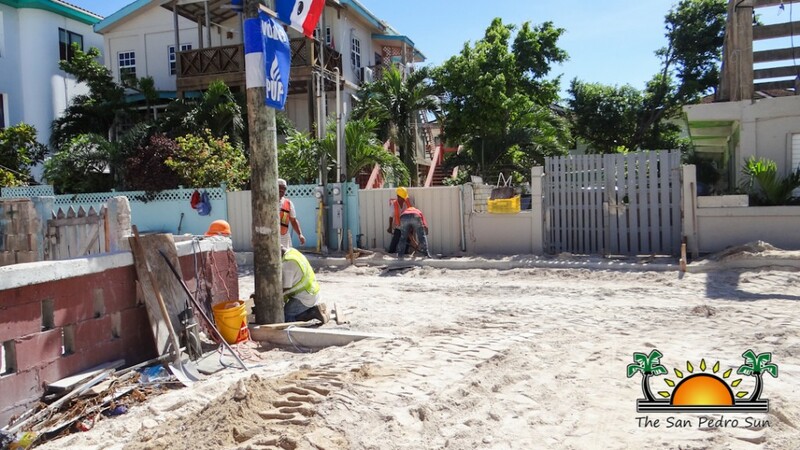 Due to its proximity to both the San Pedro High School and the beach area, Sandpiper Street is a heavily trafficked area, and as such the upgrade of the street will facilitate traffic. 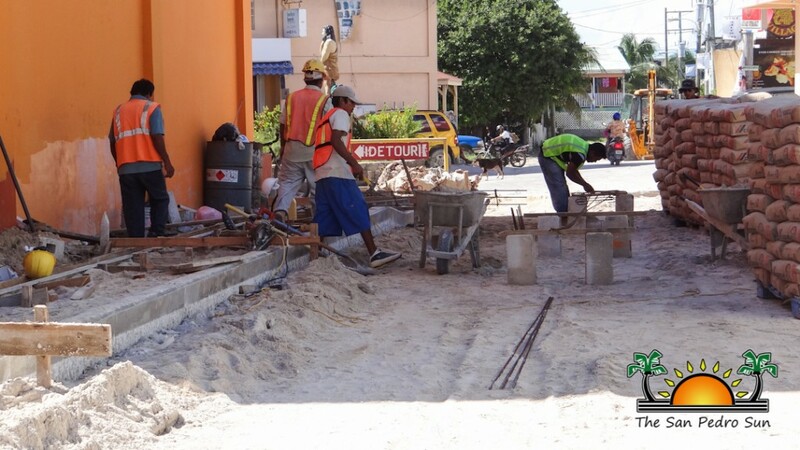 Overseeing the construction of the project is Councilor Severo Guerrero, while work is being done by Medina’s Construction Limited. According to Mayor Daniel Guerrero, this is the first out of five streets that will be paved before the year is over. “In this term in office, we are putting an emphasis on street rehabilitation. As such we want to ensure that all streets in town core are in good condition. Paved streets provide comfort to both motorists and pedestrians,” said Guerrero. The other streets that will be cemented in the near future include Tropical Wave Street, Back a Town Street and the remainder of Lion Street and Manta Ray Street. Guerrero further explained that once construction on Sandpiper Street is complete, work will commence on beach reclamation efforts. “Beach erosion is a serious problem that we are facing in the stretch of beach from Wet Willy’s Dock to Boca del Rio Park. We already have plans that will be put into place to reclaim that beach area and make it a better beach for residents and visitors,” said Guerrero. As part of the reclamation efforts, SPTC will be installing a 24” underground pipe the length of the beach which will be connected to the drainage system of each house to reduce water runoff on the beach. SPTC will also be constructing a retaining wall along the coast in hopes of lessening erosion effects. SPTC has also acquired traffic signs which will be placed north, south and within the town core in an effort to relieve traffic issues. Guerrero indicated that the San Pedro Traffic Department will now be more tenacious when enforcing traffic laws and regulation and is asking everyone to please comply with them. 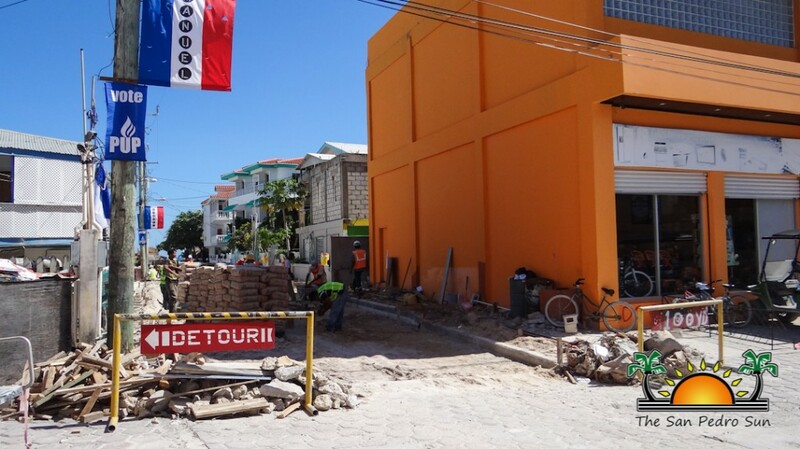 “We are doing our best to alleviate traffic issues on the island,” said Guerrero. SPTC asks residents and visitors to be mindful of the construction site and exercise caution when in these areas to avoid accidents. Residents are also reminded that it is a violation to vandalize or destroy public properly, especially traffic signs.